Finally it is out! !, the much anticipated song from Triumph. This is just like never been before, awesome tracks. 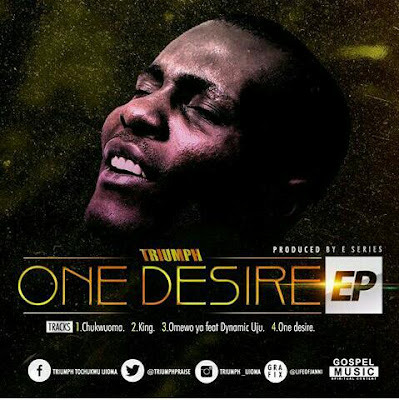 Bridging the gap between secular and gospel music, TRIUMPH is out with his first EP titled ONE DESIRE. Produced by E SERIES, mixed & mastered by D.J ROBITONZZ. Your music z great, Sir.